Buy Waku Waku Island a Coffee. ko-fi.com/wakuwakuisland - Ko-fi ❤️ Where creators get paid by fans, with a 'Buy Me a Coffee' button. Hi! 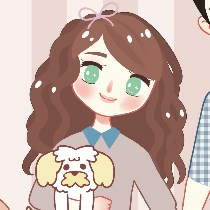 My name is Winnie and I'm the creator of Waku Waku Island! Home of the original Gameboy planter :) thank you so much for visiting my page! If you'd like to tip me on a custom piece I did for you, or just really want to support my creations, here's the place to do it! Running a small business is very expensive, I'm currently living/working out of my parents basement and saving up to buy a house, so every little bit helps! Secured Payments. Support goes to Waku Waku Island's account. Upgrade Waku Waku Island to a yearly Gold Membership with a one-time payment.